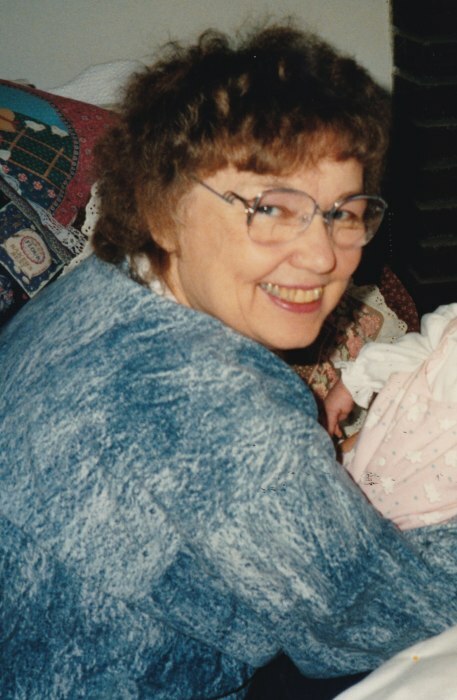 Geraldine “Jeri” Segner passed away on November 2, 2018 at Samaritan Bethany nursing home in Rochester, MN after a long and courageous battle with Parkinsonism surrounded by her family. Jeri was born October 25, 1935 to Axel and Elma (Thompson) Jensen in Minneapolis, Mn. When Jeri was a young teenager, the Jensen family moved to Mound, MN. They had a lake home on Harrison Bay in Lake Minnetonka where Jeri developed a life-long love of the water, swimming, boating, fishing and camping, which she shared with her sons and grandchildren. After graduating from Mound High School in 1953, Jeri married Robert Segner, her high school sweet heart, in Mound on September 8, 1955. They moved to St. Louis, MO where Jeri supported the family while Bob pursued his degree in chiropractic's. After school, in 1960 they set up residence in Madelia, MN, where Jeri began raising her three young sons. Mom proudly proclaimed she survived a period where all 3 sons where in cloth diapers at the same time. Jeri's three sons went to elementary school at St. Mary's school in Madelia. Jeri noticed there was something missing in her boys' education--physical education, so she volunteered as the school's first physical education teacher. Without any formal training, Jeri met this challenge head-on by developing her own style of physical education. Jeri continued her love of teaching physical education even after her sons moved on to high school, and she also taught baton lessons in her spare time. After becoming an empty nester, Jeri decided she would enroll at Mankato Vocational Technical College to study Office Administration and Technology. After graduating, Jeri was hired as parish secretary at St. Mary's Church in Madelia where she used her education to develop and operate business transactions and records for the parish. In 2000, Jeri retired and moved into Morehouse Place in Owatonna, MN, where she quickly became a part of the community. Jeri was a member of St. Mary's Catholic Church in Madelia and Sacred Heart Catholic Church in Owatonna. Jeri had a deep and strong love for her savior Jesus Christ. Jeri enjoyed traveling. Some of her favorite trips were to the Boundary Waters Canoe Area, Hawaii, Cayman Islands, Alaska, California, Louisiana and many bus trips. Jeri loved playing cards (especially bridge) and board games. She was quick with a joke to make all around her smile. Jeri is survived by three sons: Michael (Heidi) Boone, Ia., Ronald (Patricia) Owatonna, Robert (Angela) Byron. Grandchildren Nicholas, Rachel, Cory, Kyle, Anna, Sara, Josephine, and Great Grandson Arlo. Sister Linda Nelson Maple Grove Mn. Many Nieces and Nephews and former students. Special thanks and gratitude to the professional caregivers at Samaritan Bethany nursing home in Rochester MN. Your kindness, compassion, and hard work will never be forgotten. Jeri is proceeded in death by her parents, Axel and Elma Jensen; husband Robert Segner; special friend Andy Lawrence. Mass of Christian Burial will be held at St. Mary's Catholic Church in Madelia, MN, at 10:30am Wednesday, November 7, 2018. A visitation will be held at the church beginning at 9:00 a.m. Interment will be at Calvary Cemetery in Madelia MN. In lieu of flowers memorials in Jeri's name are preferred to St. Mary's Catholic School. 223 1stSt. NE, Madelia, Mn 56062.